The world of the XWA is vast with different things going on at the same time everywhere, but at the heart of all of it are the shows. Without them, we'd be a bit snookered. So before you dip into the XWA, here are the shows we run and their schedules so that you can best decide what works for you. The XWA Supershows are huge, travelling shows that all follow a specific theme. Presented in a format similar to iPPVs on The Xperience, they were launched in 2016 during a revamp of the entire company, and continue on into the New Era. Usually they are the main host to Supreme XWA Championship defences and other major occurrences. These shows allow longer time to write than Massacre and also have no word limits. A constant in the history of the XWA, Massacre was once booted off television for being too controversial! But now it's back, being hosted exclusively on the Xperience. XWA Massacre is not a travelling show, is taped, and takes place in a studio known as the XWA BattleZone based in Chicago, Illinois. Massacre shows usually have less matches and employ word limits in order to give it more of a feel of a wrestling show on television. It is an ideal platform to build up characters stock, progress storylines and boasts the exclusive inclusion of the Television title. 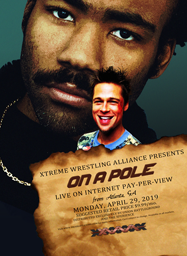 The biggest show of the entire XWA year, the World Series of Match Writing, XWA Legends occurs every single year and has played host to some classic and company-changing moments over the years. There was Rose and DGX's classic two-year feud, Dan Bennett and Diamond Jack Sabbath dividing the XWA as they faced off in the main event, Jack Jackson Jr. transforming into Jericho Shaw as he won the World Heavyweight Championship and in the future, we expect many more moments like this to come. XWA Legends can be seen as both a Massacre season finale and a Supershow all at once. Everyone in the company at the time is booked on the card and usually stars will return for the event. That year's Hall of Fame are also usually revealed around this time.